CAMERON Smith will duel with World Cup partner Marc Leishman for the Australian PGA crown on the Gold Coast in a classic friend-turned-foe script. Confirmation from Smith that he will defend his PGA title at Royal Pines (November 29-December 2) is a huge result for the tournament's appeal. 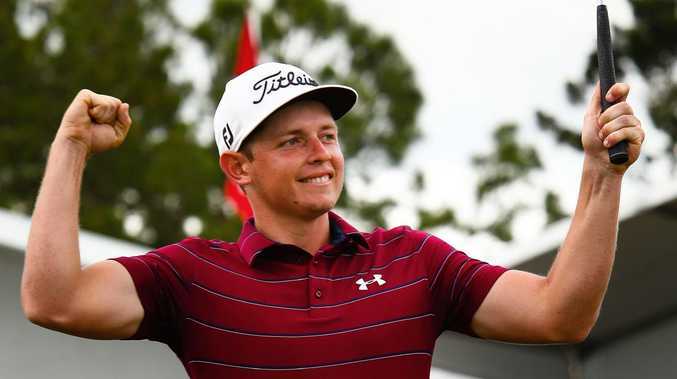 The zeal of Australia's top young player to contest the full summer swing should be applauded with major winners Adam Scott and expectant father Jason Day both non-starters. Smith will also fly the flag as top Aussie at the Australian Open at The Lakes in Sydney (November 15-18) with a bold mission to keep the title out of American clutches. He is determined to go one better than his 2016 play-off miss against Jordan Spieth. Smith, 25, is coming off the best season of his career with a fifth at the Masters among seven top 10s on the PGA Tour where he earned an eye-popping $5.1 million. The world No.32 has taken the baton strongly from summer standard-bearer Scott, who will be missing from the local circuit for the first time since 2008. Smith is excited about joining Leishman in the Australian team for the World Cup at Metropolitan in Melbourne (November 21-25) before they spar from separate corners at Royal Pines just days later. "It was always a goal to win one of the big Australian tournaments, now the next ambition is to defend it and win back-to-back Australian PGA titles," Smith said. "I would also love nothing more than to win my national Open and record a win for Team Australia so hopefully I can finish a great year on a high." Smith's class, with one of golf's best short games, is the strongest hope to fend off a posse of quality American pros who will bid for the Australian Open. While none have the wow factor of former world No.1 Spieth when he claimed his second Open at Royal Sydney in 2016, they will give the field far greater depth. Matt Kuchar, Brandt Snedeker, who lost a playoff for the Safeway Open in California, Keegan Bradley and Brendan Steele have won 23 PGA Tour titles between them. Sources have confirmed another two or three pros with PGA Tour experience are still to be added to the field for the first Open at The Lakes since 2012. "If my card on the PGA Tour is secured then I'm always really keen to come back and play in Australia and it's pretty special to return and defend my first individual title as a pro," Smith said. 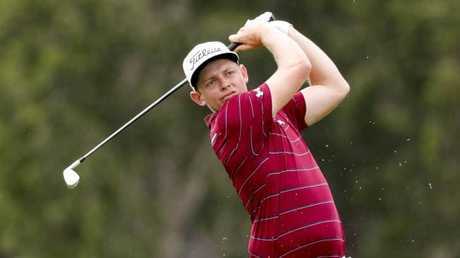 Smith's two third placings in play-off events elevated him to 12th in the rich FedEx Cup rankings to make him the top performing Australian on the PGA TOUR this year. Experience the best of international golf LIVE. FREE Sport HD + Entertainment as part of 2 months free with no lock-in contract. SIGN UP TODAY. T&Cs apply.